What Does Code P0240 Mean? Like naturally-aspirated engines, forced-induction engines, that is, those equipped with turbochargers or superchargers, need accurate measurements of air flow, temperature, and density, to properly calculate fuel injection and, for gasoline engines, ignition timing. To that end, the engine control module (ECM) uses various sensors, such as the MAP, MAF, IAT, ECT, CKP, and AFR (manifold absolute pressure, mass air flow, intake air temperature, engine coolant temperature, crankshaft position, and air fuel ratio), to make its calculations on a constant basis. In forced-induction engines in particular, the Vacuum-Boost sensor is critical to properly measuring the air density at any particular moment. More boost pressure means more air, particularly more oxygen, in the charge. The ECM increases injector pulse, the result being more engine power. In a forced-induction engine, the vacuum-boost sensor is very similar in operation to a MAP sensor, but different in application. Some engines may have both. Both measure pressure, but their signals differ by atmospheric pressure at sea level, 100 kPa or 14.7 psi. 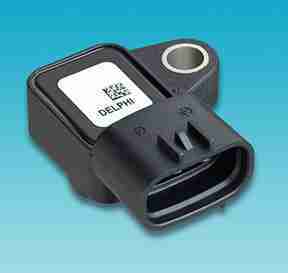 In other words, a MAP sensor with the engine off will read 100 kPa, while a vacuum-boost sensor will read 0 kPa. That way, a forced-induction engine ECM can read both vacuum and pressure, depending on whether or not the turbocharger or supercharger is active. If there is a problem with the boost sensor signal, however, the ECM can’t properly gauge injection and ignition, resulting in poor performance. Generally speaking, most production vehicles equipped with forced-induction are tuned to somewhere between 9 psi and 14 psi, though each manufacturer has its own specifications. If the ECM detects boost pressure out of the expected range, it will illuminate the MIL (malfunction indicator lamp) and store a diagnostic trouble code (DTC), P0240 “Turbo/Super Charger Boost Sensor ‘B’ Circuit Range/Performance,” in memory. What are the common causes of code P0240 ? DTC P0240 may have number of causes. Here are some of the most common. Air Leaks – If there are any leaks in the intake manifold or turbocharger (inlet or outlet) or intercooler, pressure will not build properly. Similarly, leaks in any vacuum controls, such as a wastegate control, may not function properly. Wastegate – If the turbocharger wastegate is stuck or leaking, boost pressure will not build or release properly. Defective Turbocharger – Worn or poorly lubricated bearings, missing impeller blades, or other turbocharger problems can prevent it from spooling up as quickly as the ECM expects. Electrical Problems – Water intrusion or corrosion can alter the boost sensor signal to the ECM. Faulty Sensor – Pressure sensors are usually pretty reliable, but failure isn’t impossible. What are the symptoms of code P0240 ? Because the boost sensor is not providing an accurate measurement of boost pressure, turbocharger or supercharger function will be compromised. Depending on the nature of the fault, low-power engine operation, such as idling and cruising, may or may not be affected. High-power engine operation, such as heavy acceleration and high speed, may be severely debilitated. Additionally, you may note abnormal noise in the forced-induction system, smoke in the exhaust, and abnormally high engine temperature. In extreme cases, abnormal temperature may cause cylinder detonation and catastrophic engine damage. If equipped, the boost pressure gauge will show abnormal or erratic readings. How do you troubleshoot code P0240 ? Because DTC P0240 refers to a general fault in boost pressure, diagnosis needs to be patient and methodical. First, make sure the engine is running properly. Gasoline engines may benefit from a clean set of spark plugs before actual diagnosis, as boost problems often result in fouled plugs. Make sure to check all electrical connectors to see they’re properly seated. 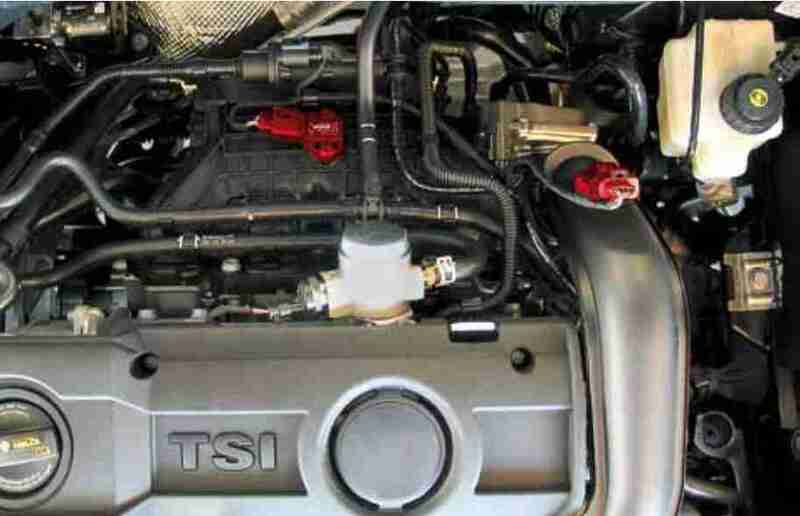 Second, thoroughly inspect the air intake, intercooler, and turbocharger intake hoses, as well as all sensor and actuator vacuum lines, for leaks. Make sure all hoses and lines are firmly connected and properly clamped, as applicable. Third, check for leaks between the turbocharger and intake flange. You can try moving it with your hands (it shouldn’t move) or you can check for hissing using a stethoscope while the engine is running and the turbo is active. Fix any leaks and recheck. 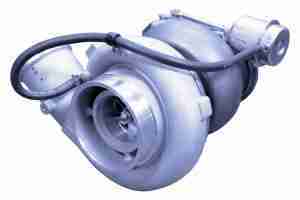 Under 14 psi or Over 19 psi – Suspect a turbocharger or wastegate problem. Manually, using a vacuum pump or your hands, operate the wastegate actuator arm to make sure if opens and closes properly. Use the boost gauge to see if the wastegate is affecting boost pressure. Repair as necessary. Remove the turbocharger outlet hose and look inside the unit. Any damage, such as oil residue, broken fins, impeller rubbing, or rough bearings, means the turbocharger has been compromised and will need to be replaced. With the ignition on and engine off, use a DVOM and EWD (digital volt-ohm meter and electrical wiring diagram) specific to your vehicle, test voltage input and output of the sensor. Most boost sensors are three-pin sensors, a 5 V supply voltage, ground, and signal. Confirm 5 V supply and 0 Ω to ground at the sensor. Suspect a wiring problem if the voltage and resistance readings are incorrect. 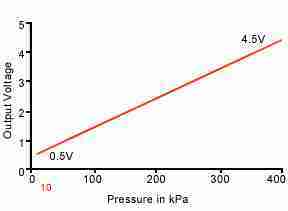 Reading atmospheric pressure, the signal wire should read about 1 V. Start the engine and check the signal voltage. At engine idle, signal voltage should be around 0.5 V. Slowly increase engine speed and watch that the voltage increases proportionately with engine rpm and turbocharger activation. Suspect a faulty boost sensor if the readings are incorrect. None found. Ask a question about P0240. 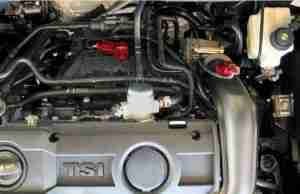 I have the code P0240 on my car: VW Jetta 2003, 2.0 engine Sta. Wagon. I need to fix this Problem. Thank You.